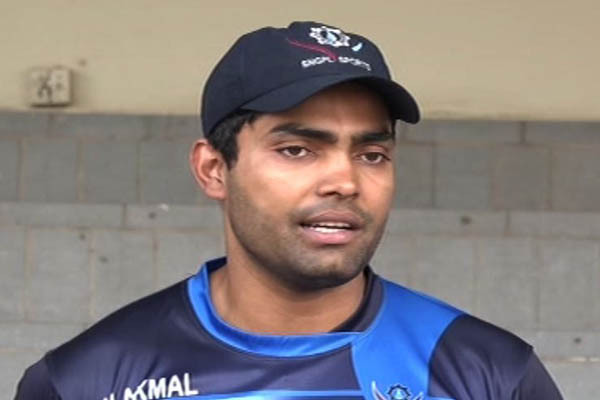 test batsman Umar Akmal for his claim of being approached by bookies for alleged spot fixing activities and asked him to appear before its anti corruption unit on June 27. Umar in a recent TV interview claimed that he was approached by bookmakers on a number of occasions for corrupt practices. The batsman went on claiming that he was offered money to skip matches against India. “Whenever I played a match against India I was offered money not to play but I always had same answer to match fixers that I want to play for my country”,said Umar. Umar also revealed that he was offered US dollars 200,000 by the match fixers to leave two balls in a match of the 2015 World Cup. spot fixers for carrying out corrupt practices. Umar can land into trouble as concealing such information itself is liable to punishment. According to ICC anti-corruption code 2.4.4 and 2.4.5, players are bound to report all the corrupt approaches made to them during any event and failure in doing so carry a minimum punishment of five years. Pakistan’s medium pacer,Muhammad Irfan was banned and fined for a similar offense in a spot fixing case. Meanwhile,the International Cricket Council has also launched an investigation into the matter and has expressed desire to speak to Umar. ICC is reliant on players to report any corrupt approaches in timely manner,” said an ICC spokesman,adding,”This is critical to our efforts to gather information on potential fixers and to disrupt and prevent their efforts to corrupt the game. As such we are taking Umar’s comments very seriously. We have launched an investigation and wish to speak to Mr Akmal as matter of urgency”. He said the ICC anti corruption unit is committed to upholding integrity in cricket world and urged that anyone with any information must contact them.